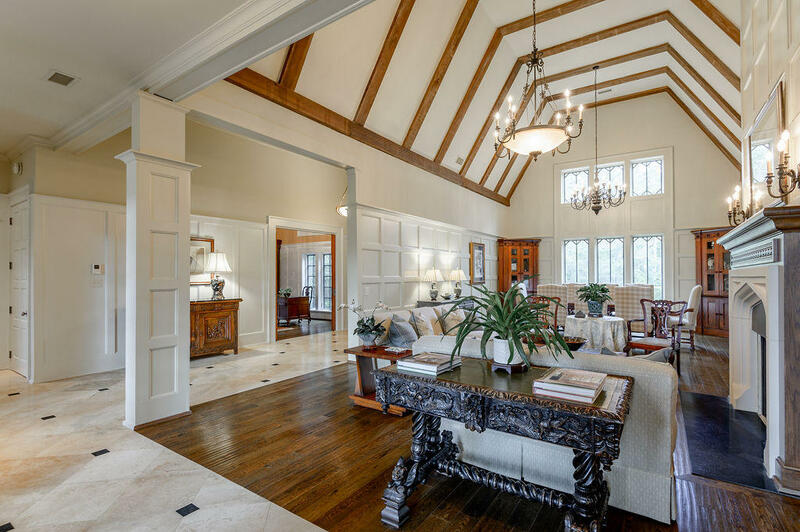 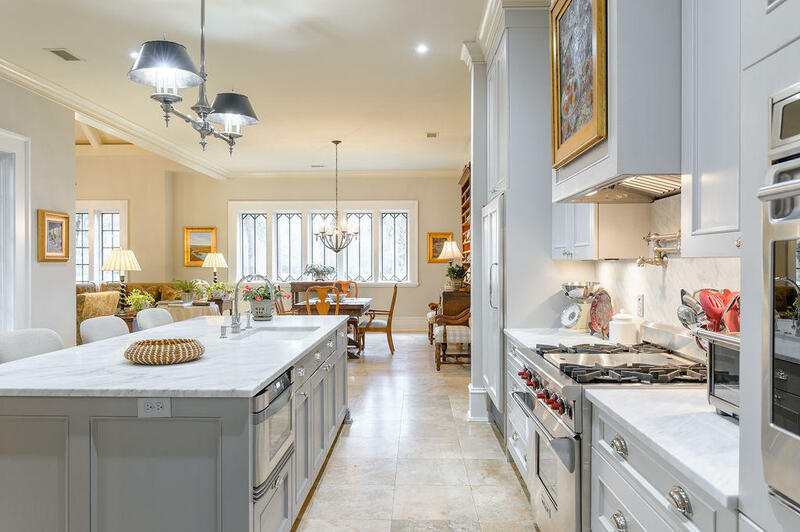 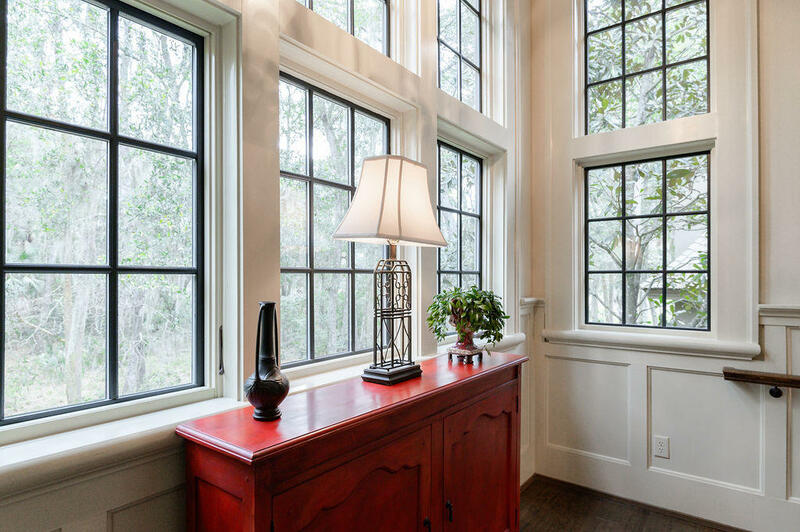 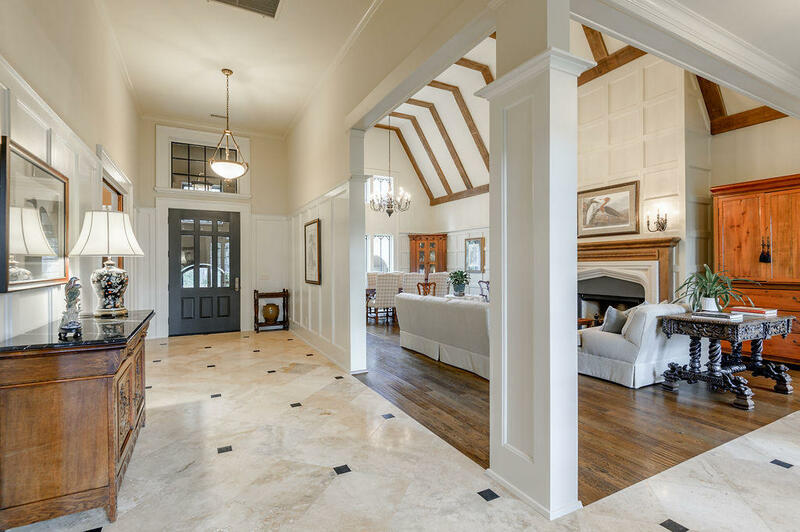 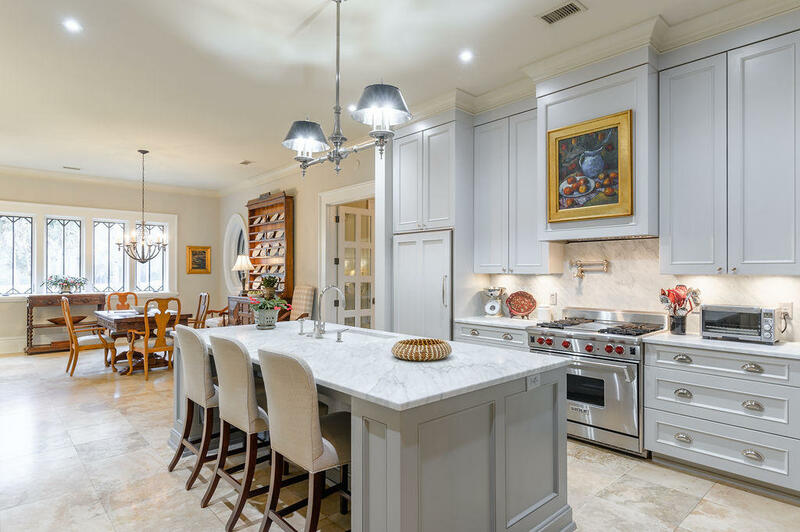 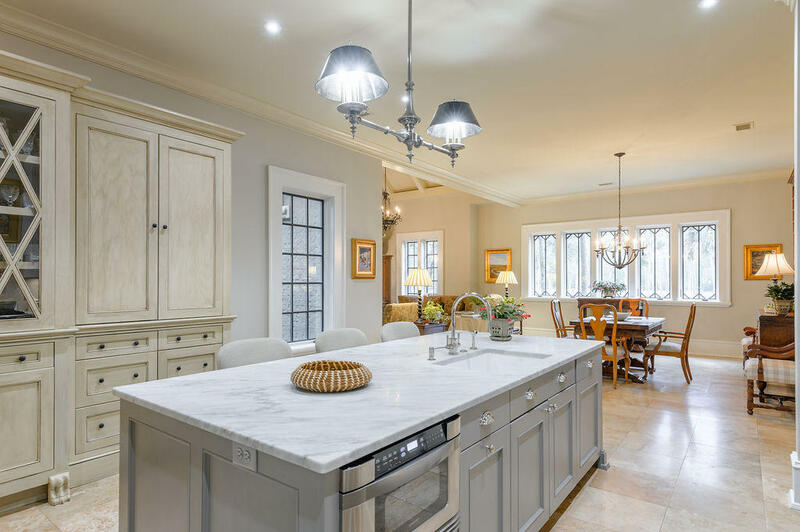 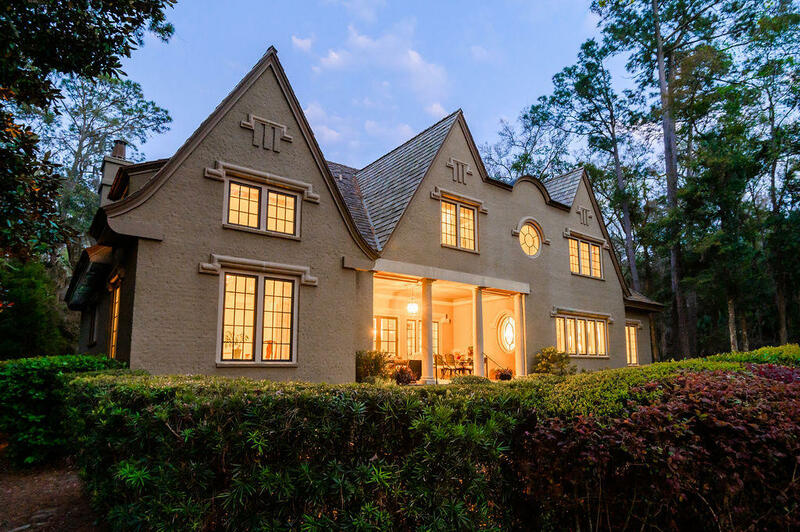 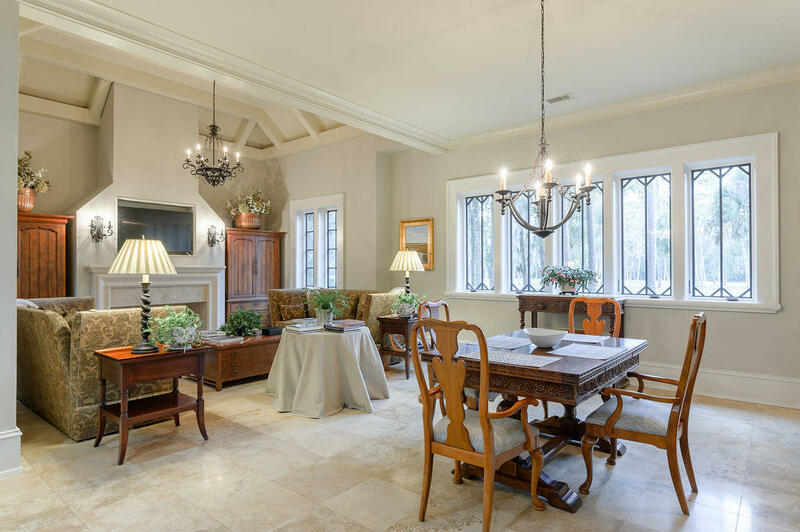 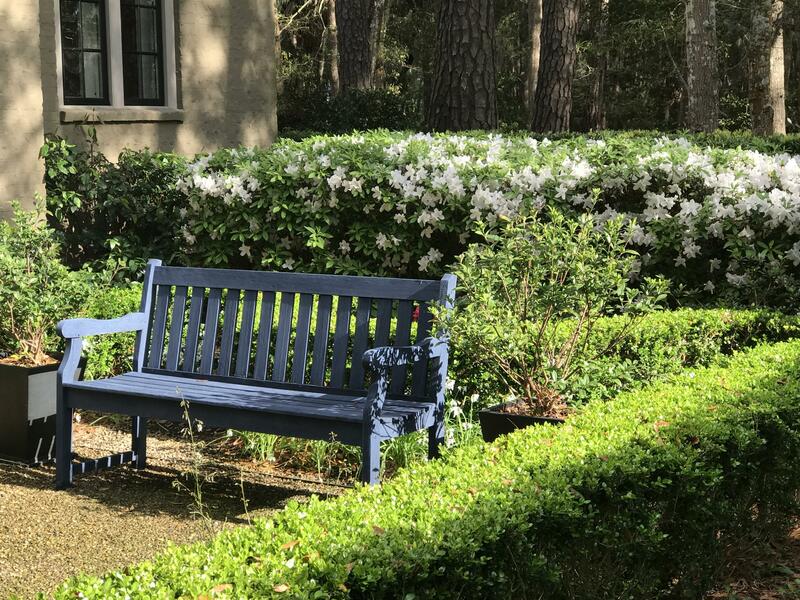 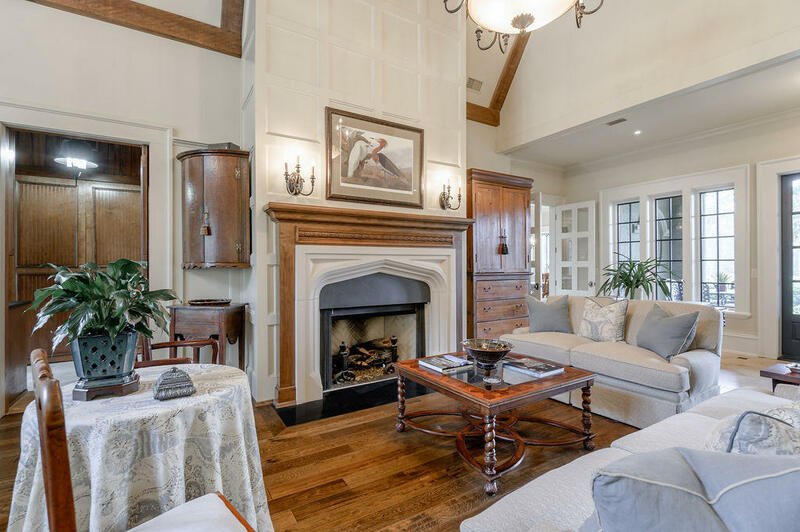 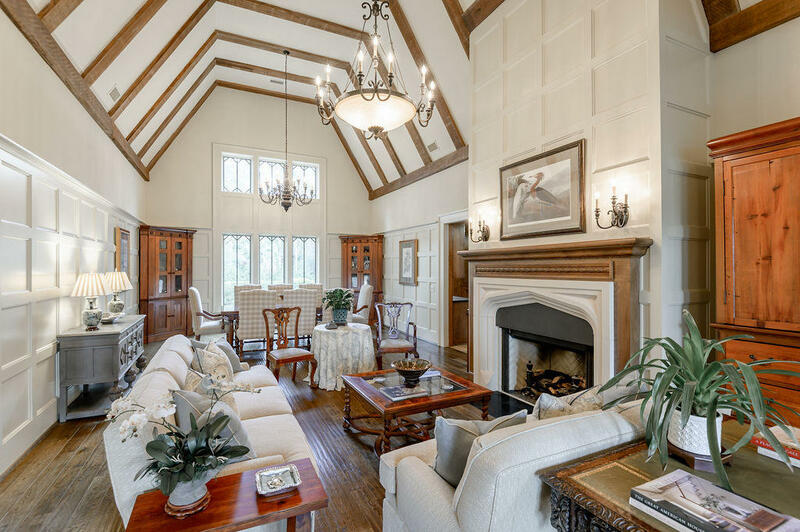 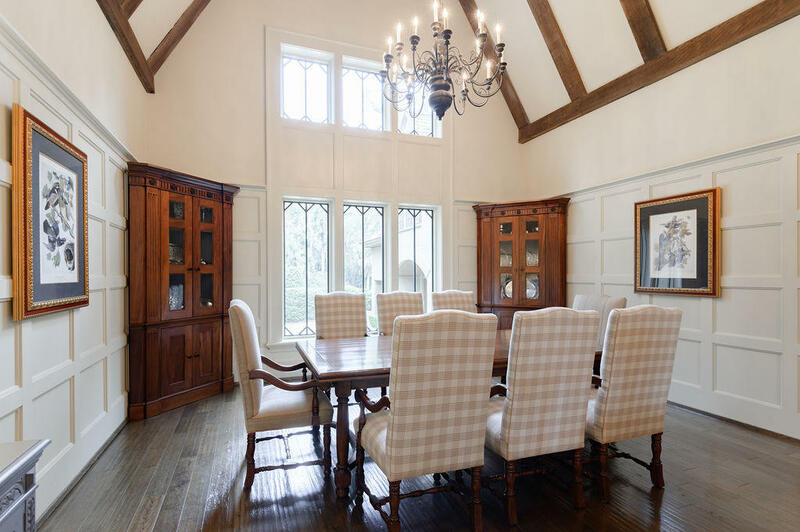 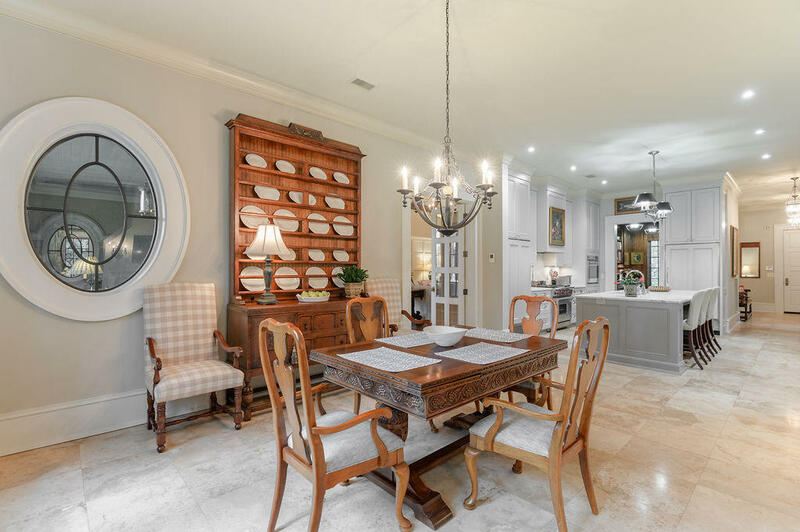 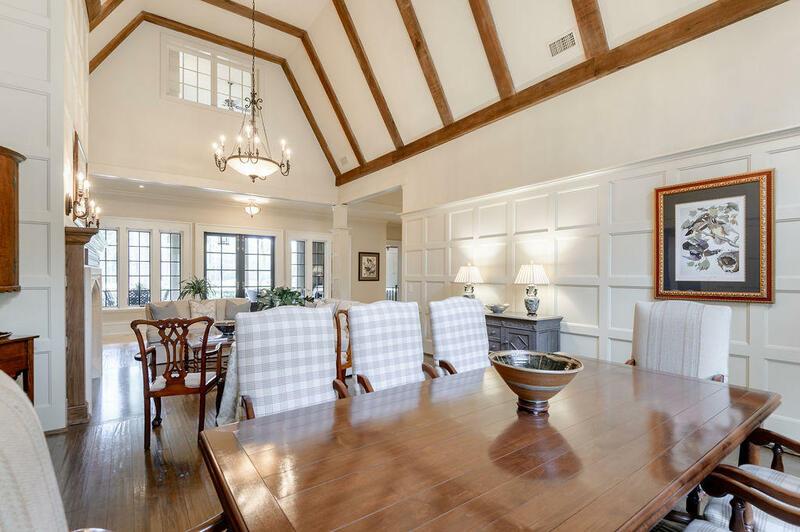 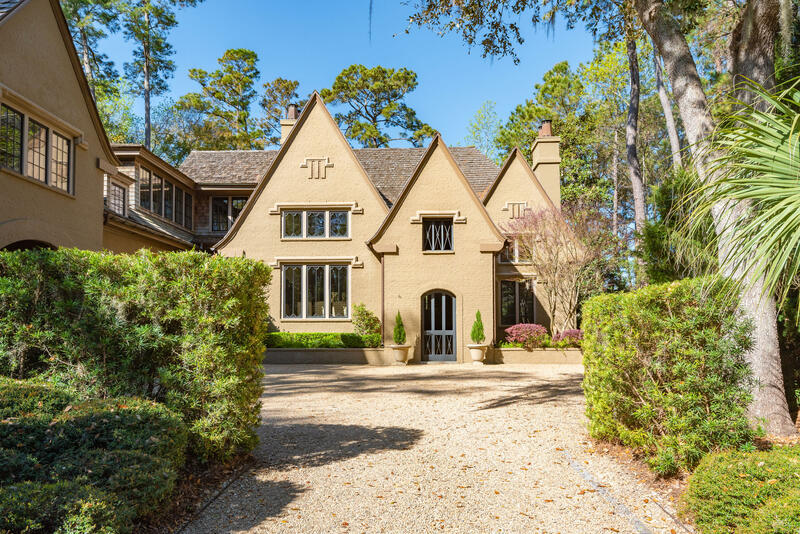 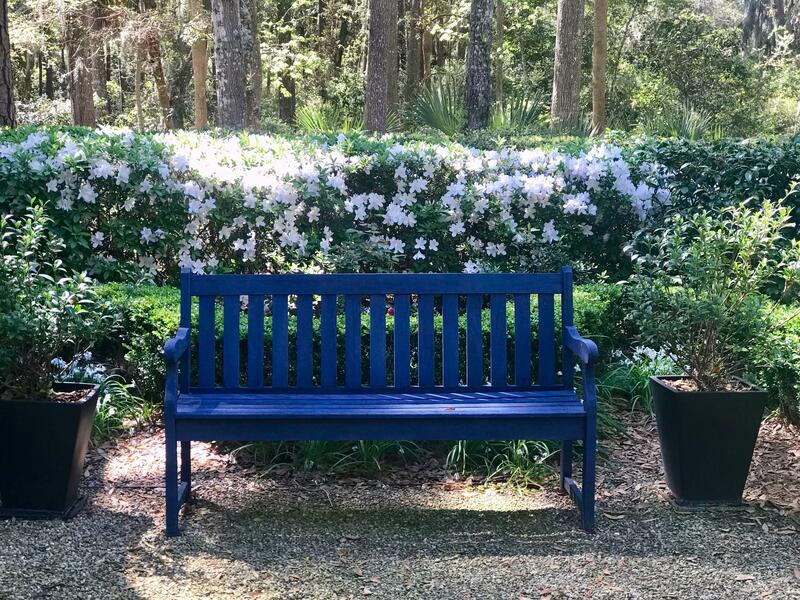 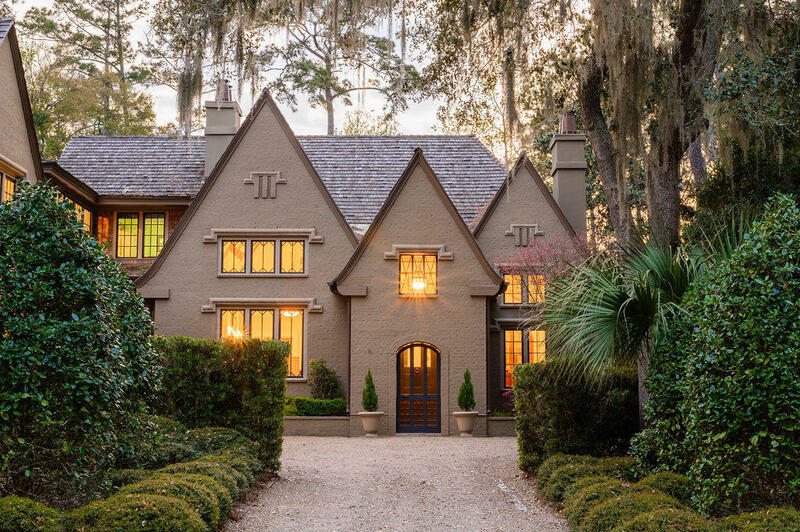 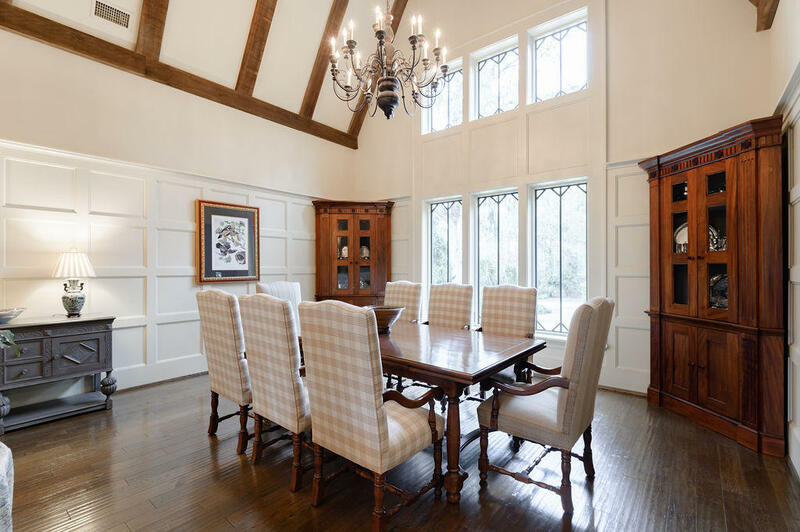 An architectural gem, reminiscent of an English Manor House, this beautiful home is located within the prestigious neighborhood of Cassique, a Kiawah Island Club gated community. 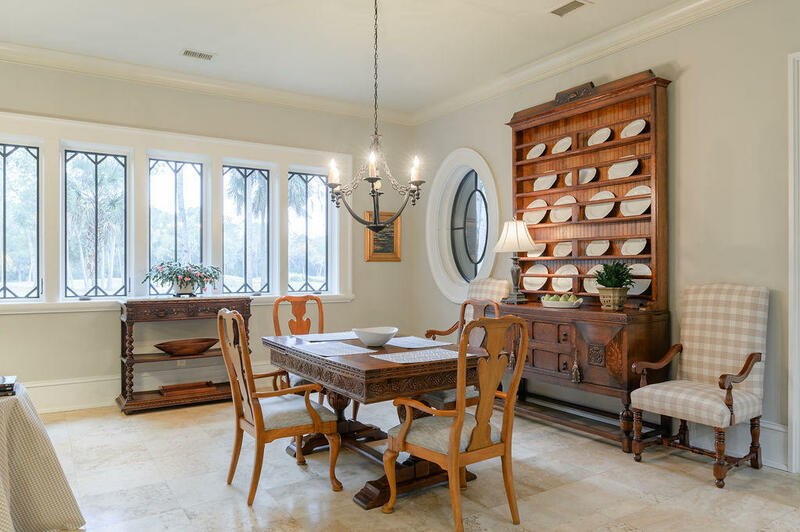 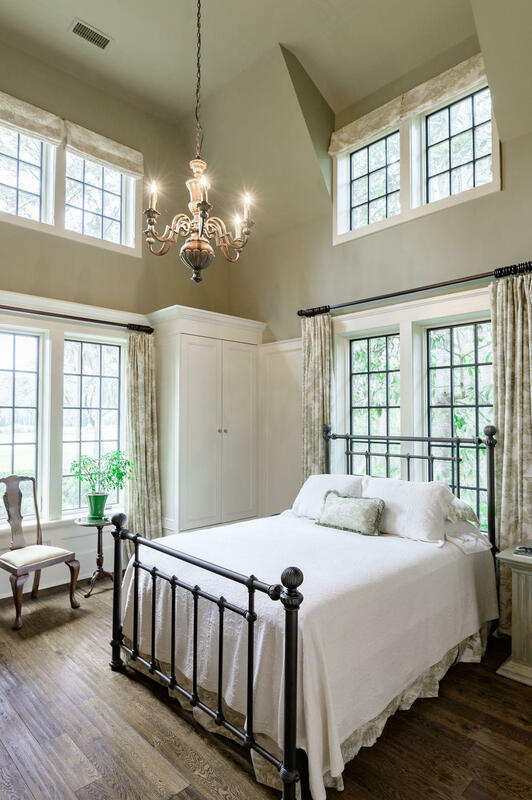 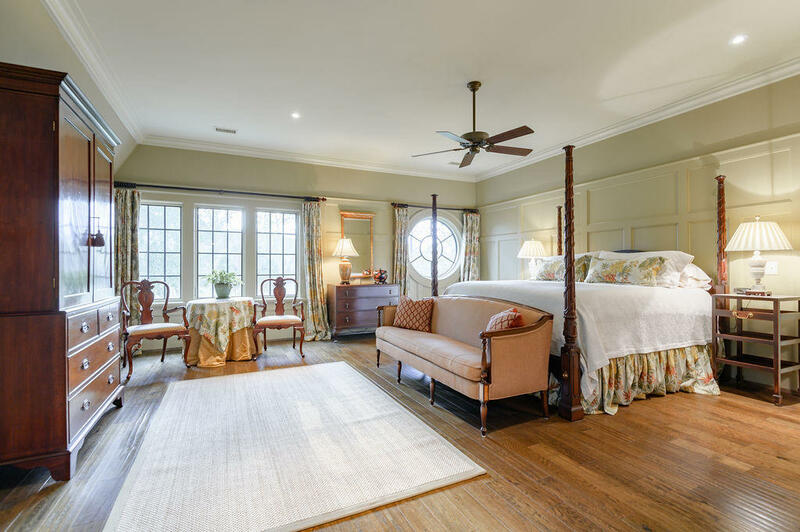 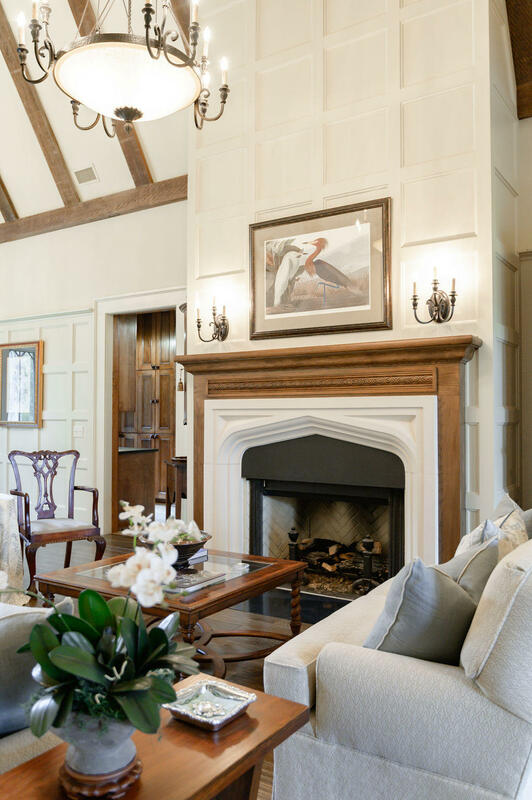 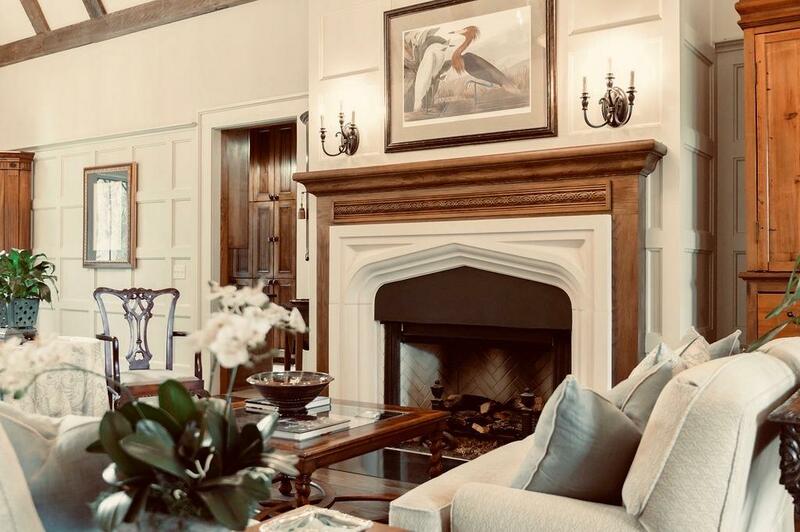 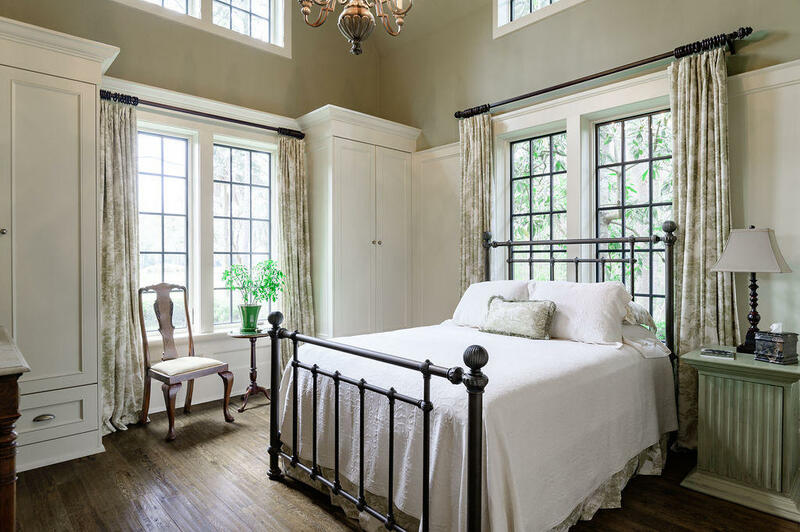 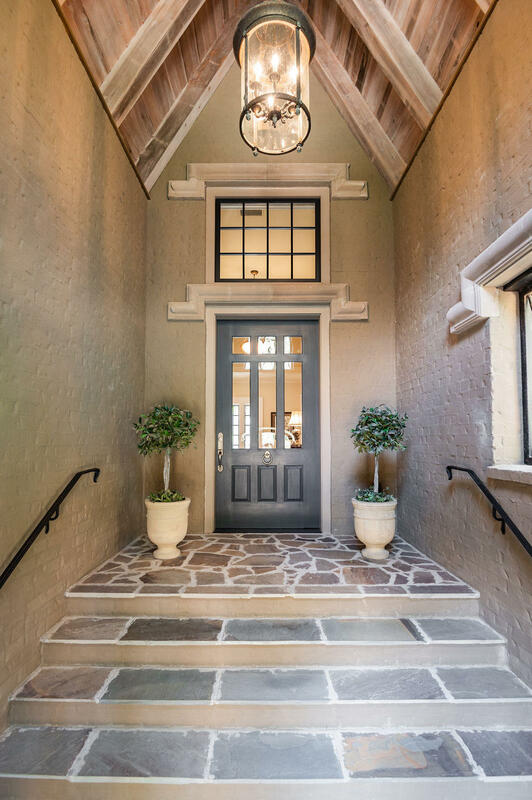 Designed by Glick, Boehm & Associates, the home's ''Turn of the Century English'' inspiration taken from the Charles Voysey Clubhouse, is seen in the meticulous design and exceptional details throughout, exudes gracious living with a relaxed Lowcountry influence. 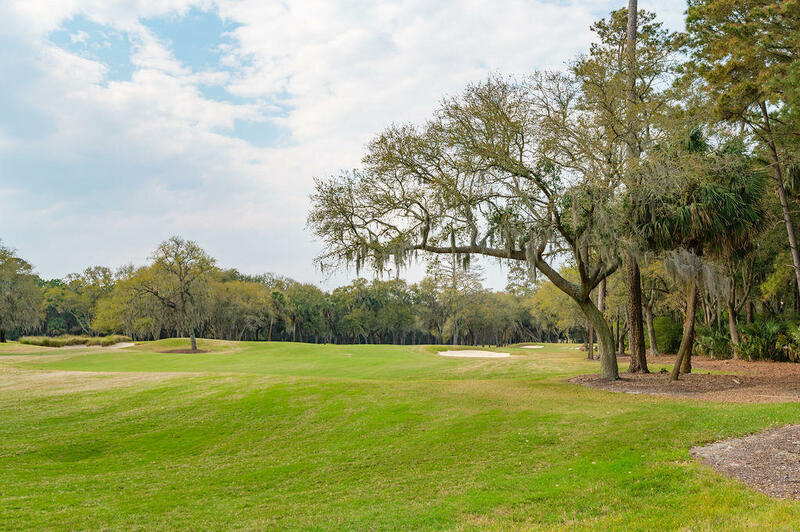 Lovely fairway views of the 11th and 12th holes of the Cassique Golf Course, with a protected wooded privacy buffer beyond, are enjoyed from many rooms. 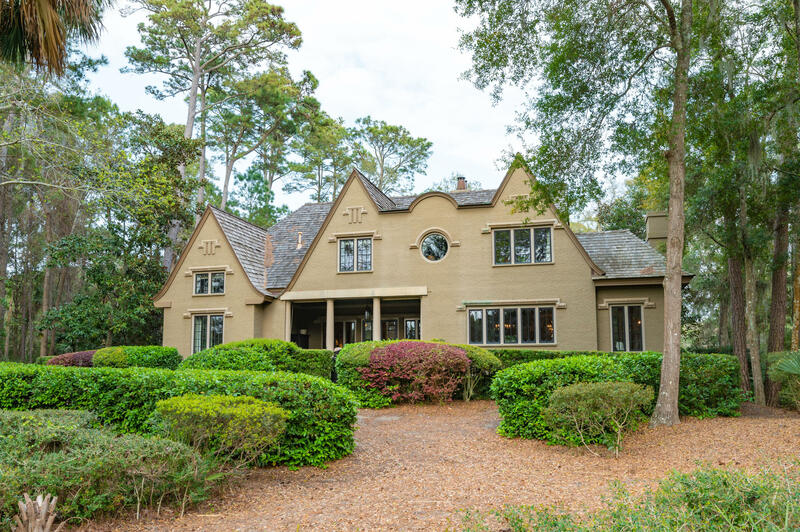 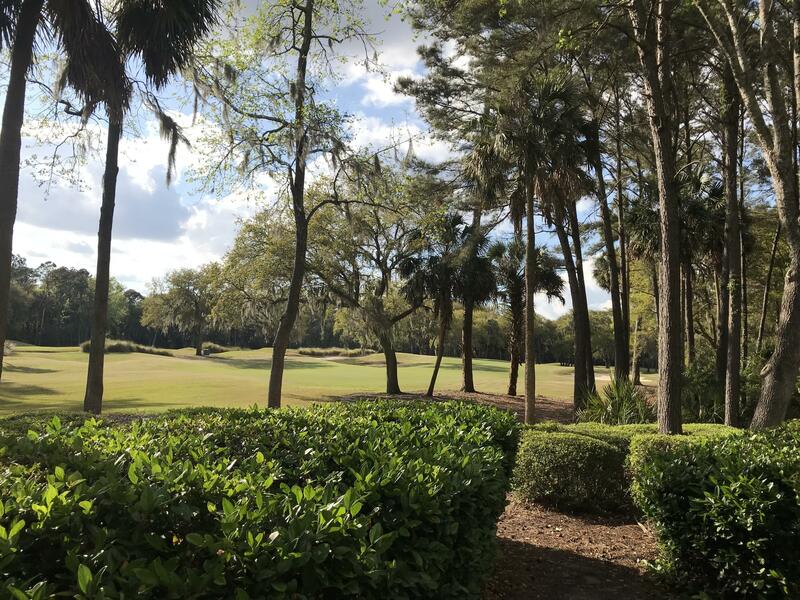 A Kiawah Island Club Social Membership opportunity is available with this property. 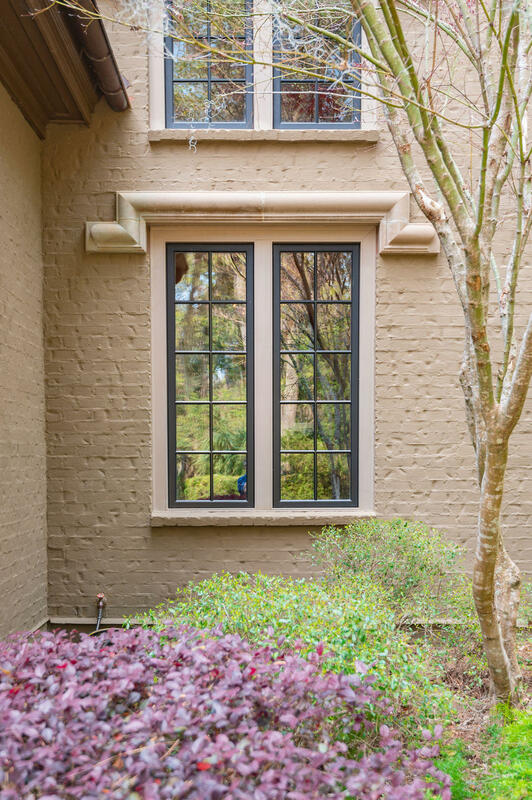 Exterior features of this energy-efficient all brick home with masonry coating includes 10-12" exterior walls, cast limestone window and door heads, cedar shake roof, slate/bluestone hardscapes. 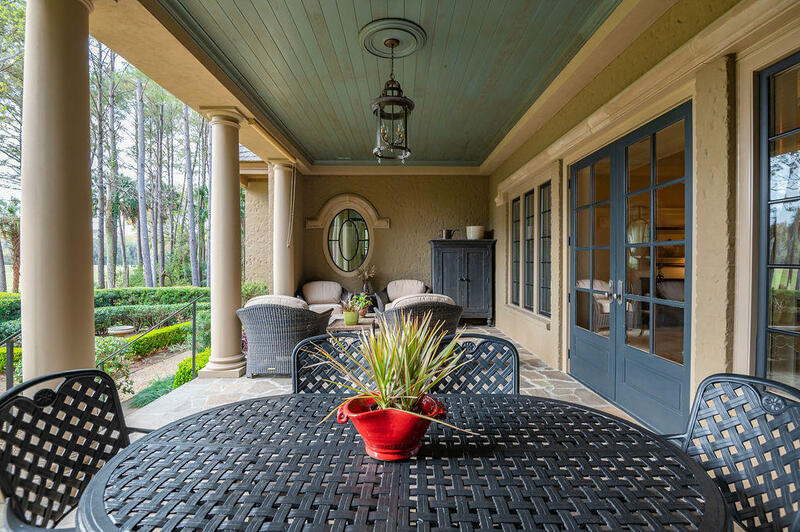 A bluestone veranda overlooks an English style garden with hidden fence, custom wrought iron gates, tiered fountain and room for a pool. 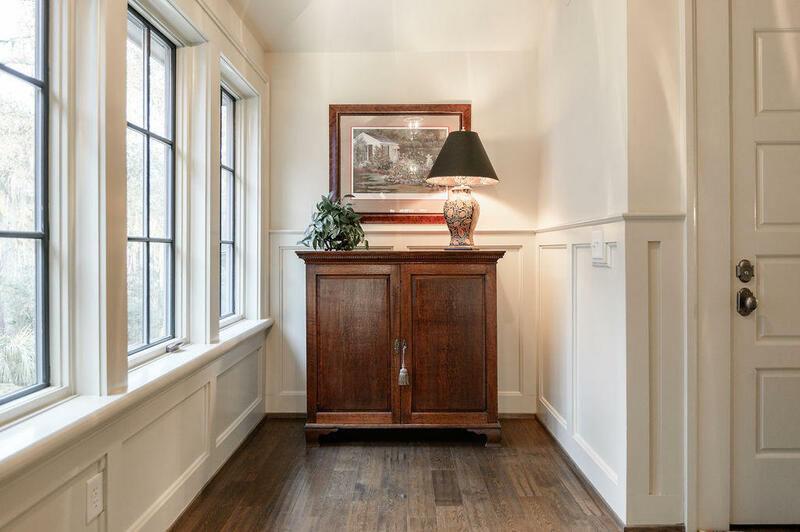 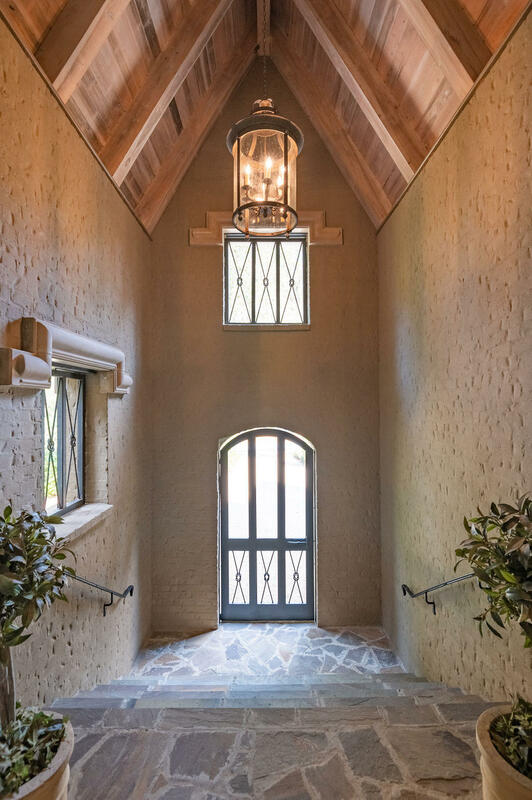 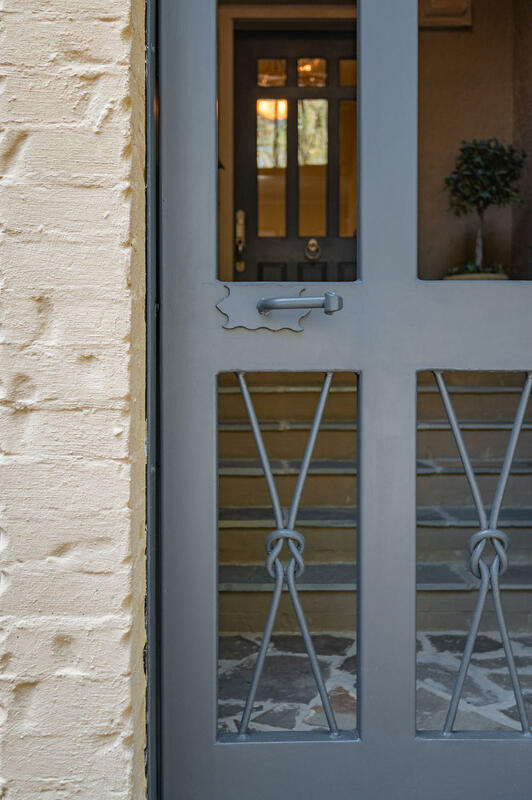 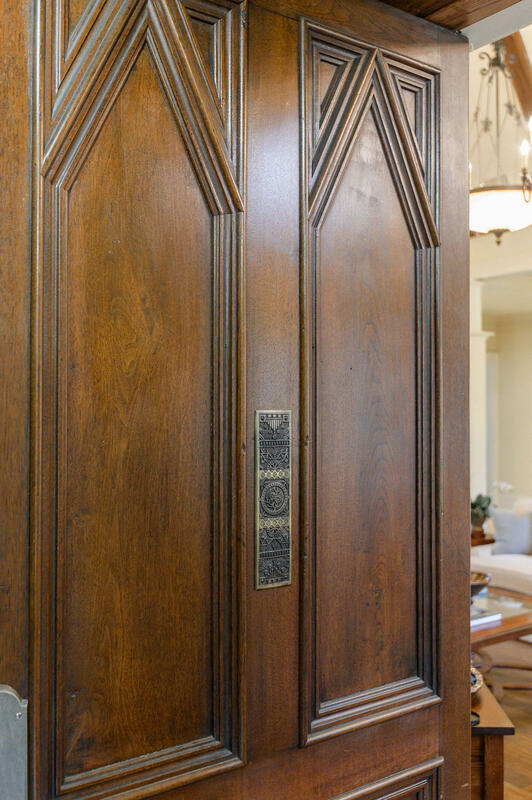 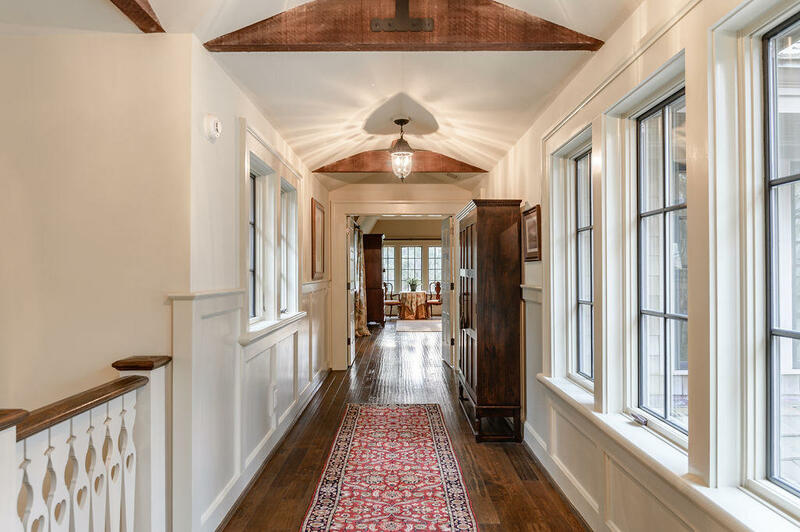 The home's welcoming vestibule features custom iron work entry gate, wood-planked vaulted ceiling with natural stone flooring. 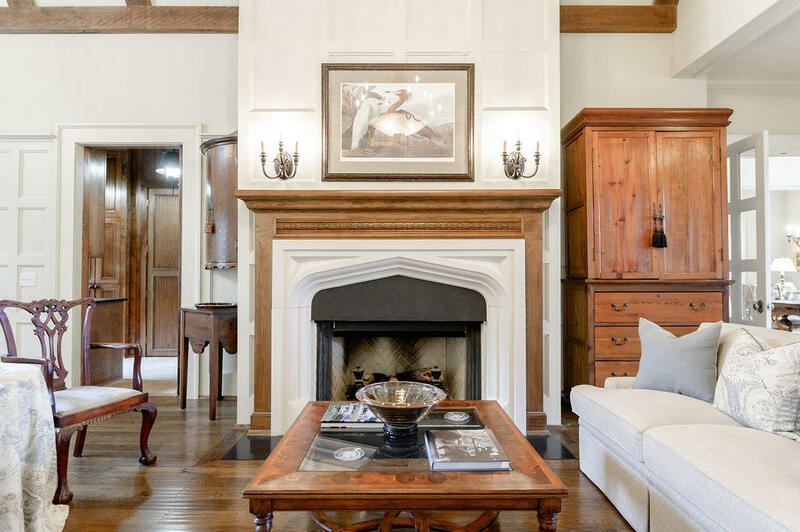 Once inside, the foyer flows into a gallery and great room with 20' ceiling, exposed beams, oak paneling, cast-limestone fireplace with slate surround and oak mantel. 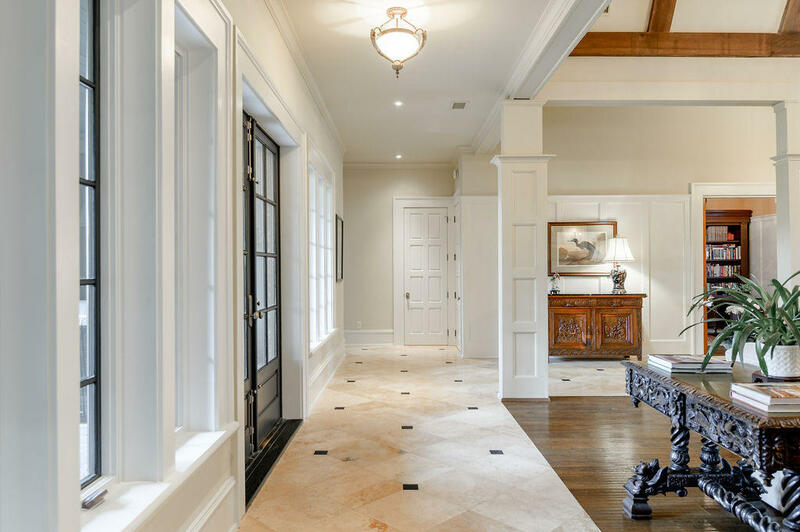 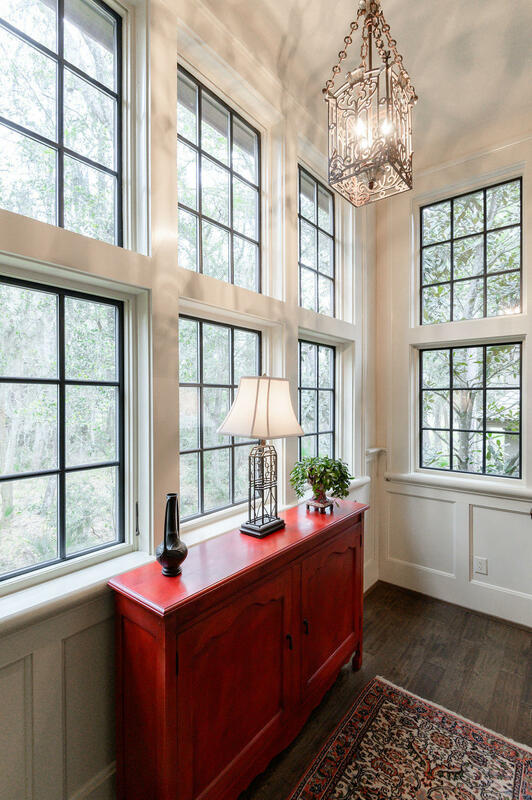 The interior features include hand-scraped oak and travertine tile flooring, 1 Â¾" interior doors, custom windows, trim and moldings. 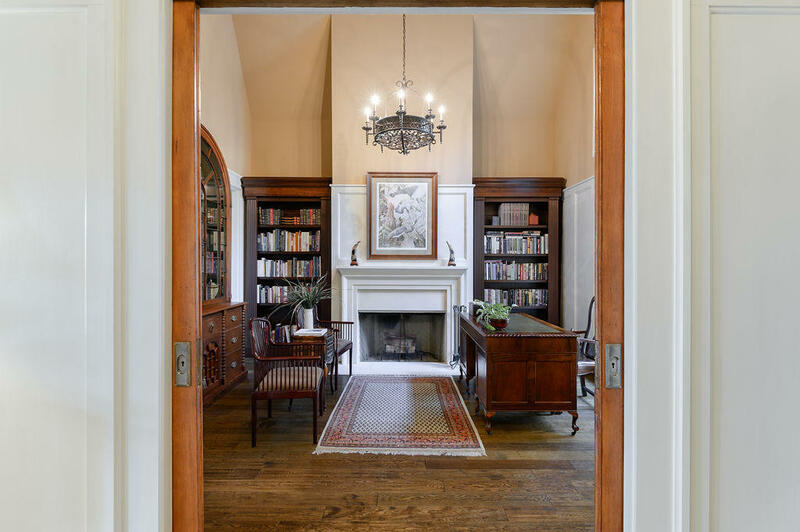 Double doors from the gallery open onto the veranda and English garden overlooking the rolling fairways of the Scottish links-style course. 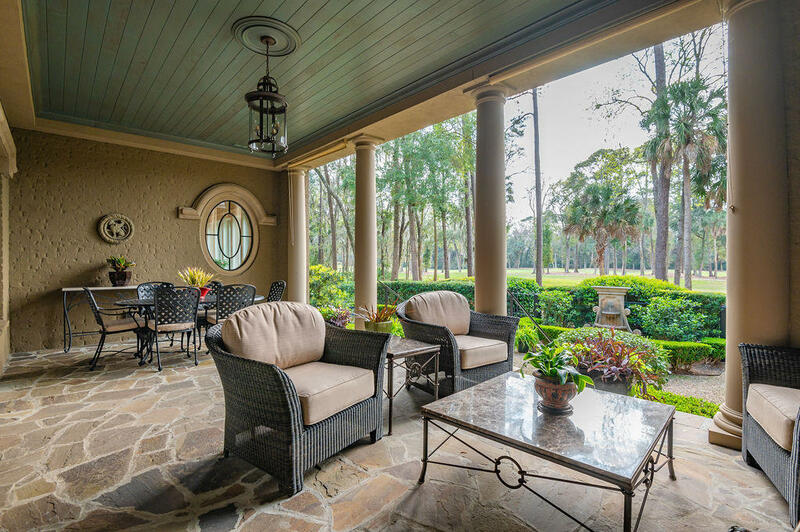 The veranda is a great place for afternoon Tea, as you enjoy the manicured English garden which blends with the natural beauty of Cassique where Eagles often nest. 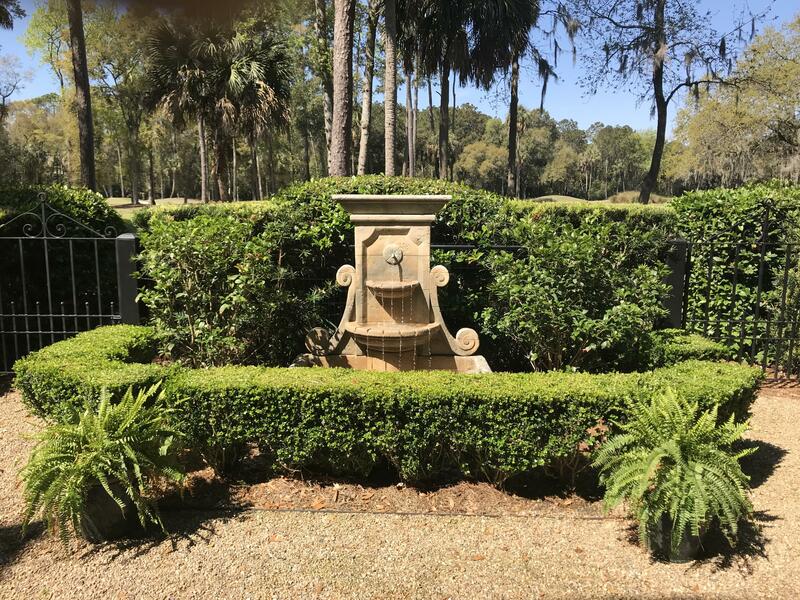 You will wander the pathways of the garden listening to the fountain and the sounds of nature. 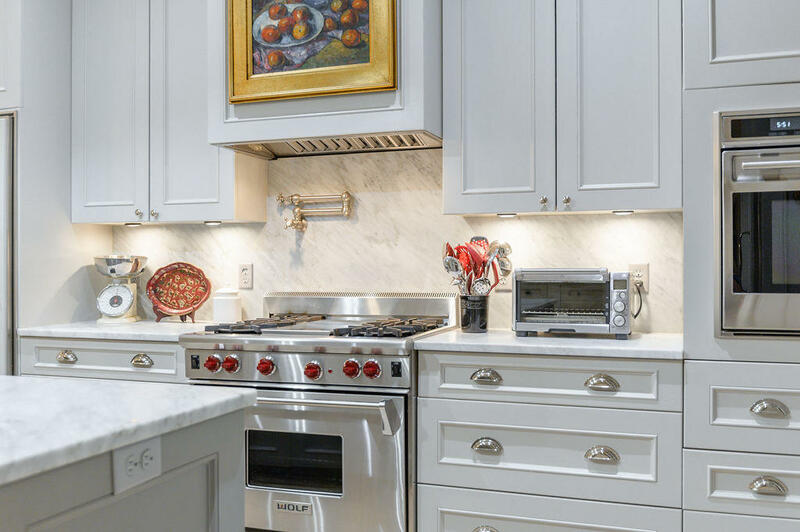 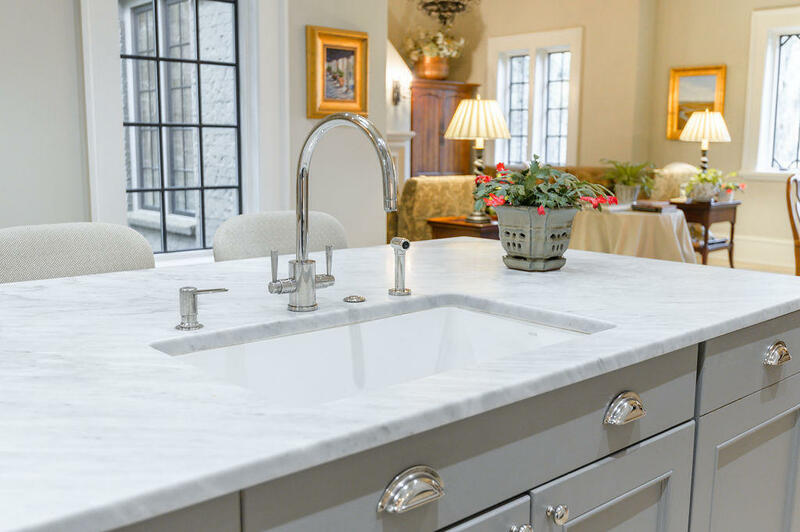 The gourmet kitchen is open to the breakfast and den areas with fireplace, featuring white gold-veined Carrara Marble countertops, Wolf and Sub-Zero appliances and travertine flooring. 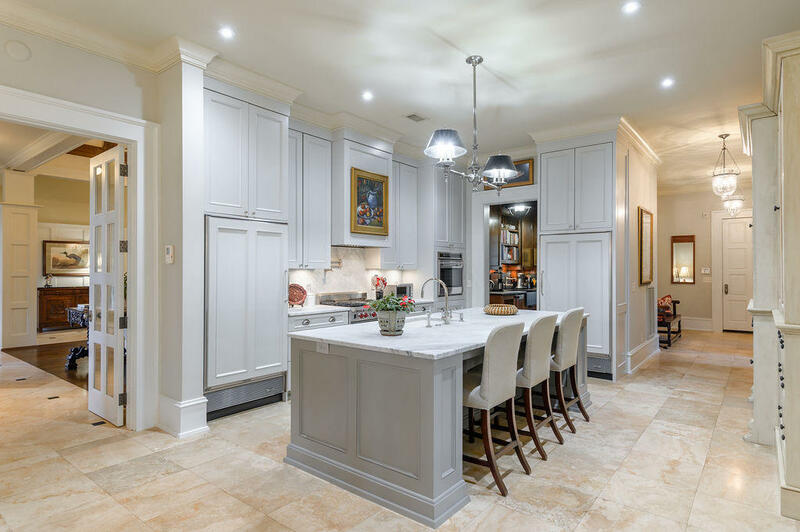 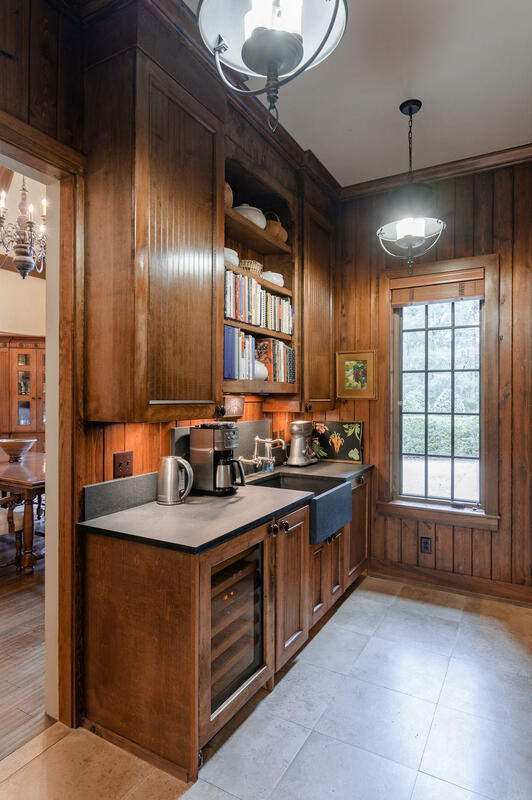 A butler's pantry, complete with soapstone countertops, wine refrigerator, ice-maker, and dishwasher adjoins the kitchen and the formal dining area of the great room. 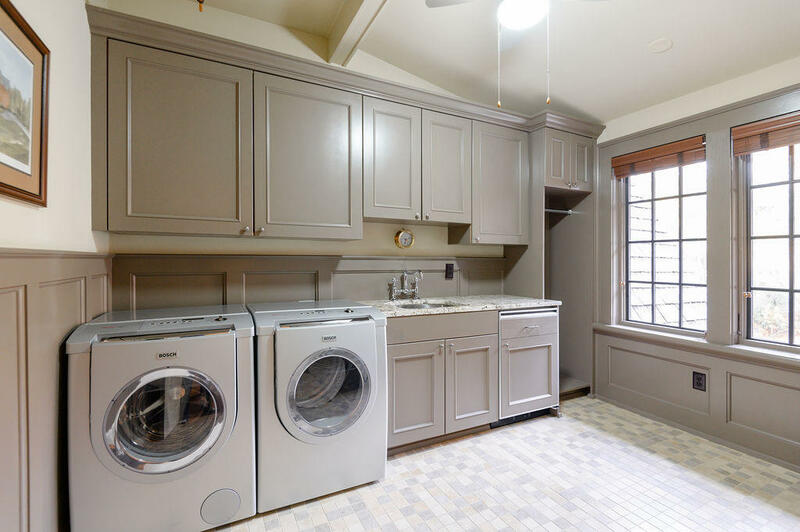 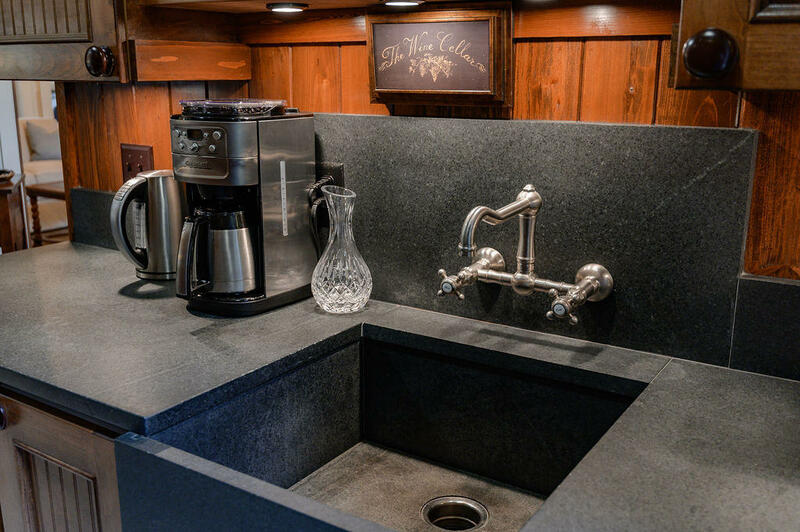 A first-floor washer/dryer is located in the butler's pantry. 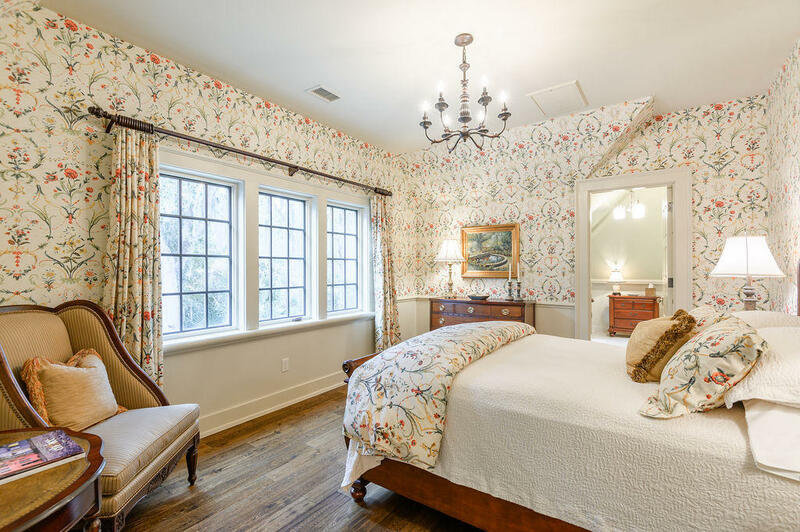 The first-floor guest suite has fairway views, vaulted 16' ceiling, wood paneled walls and custom built-in wardrobes. 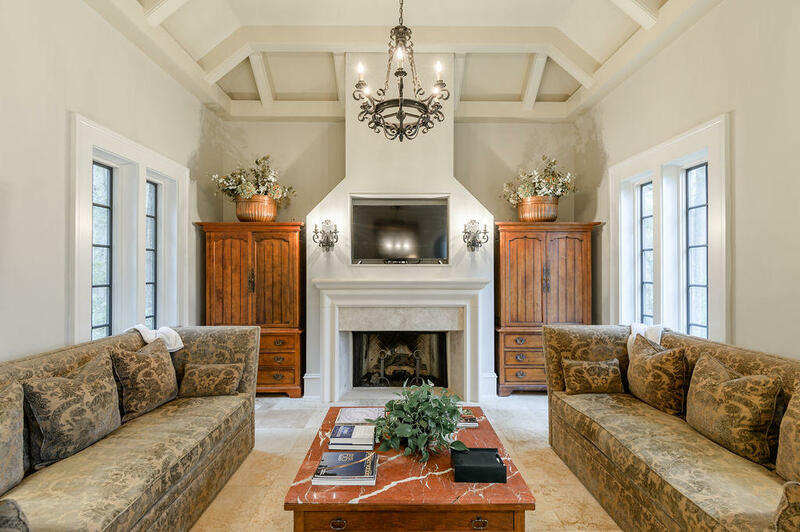 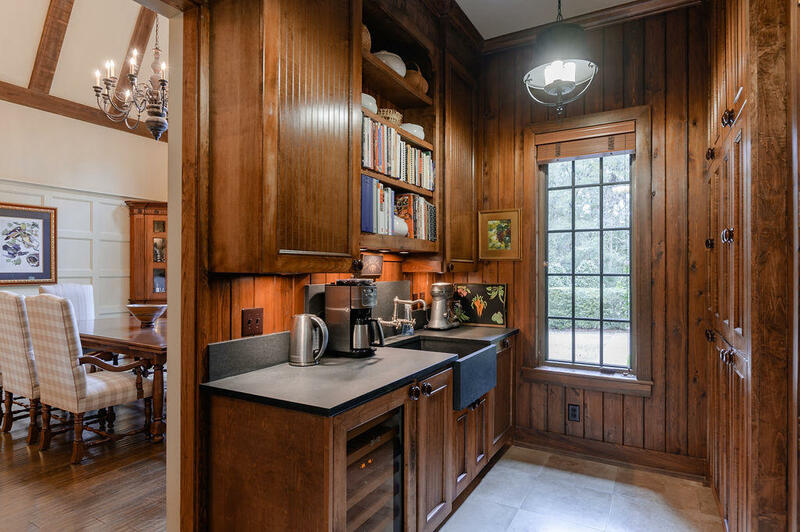 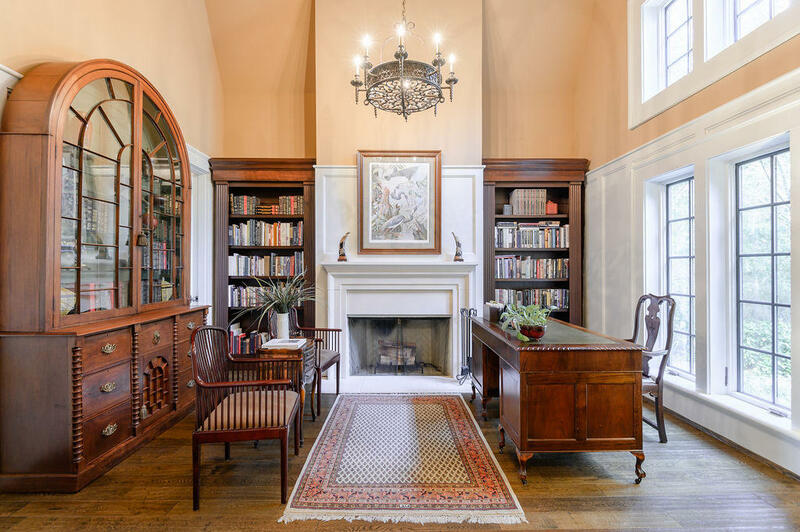 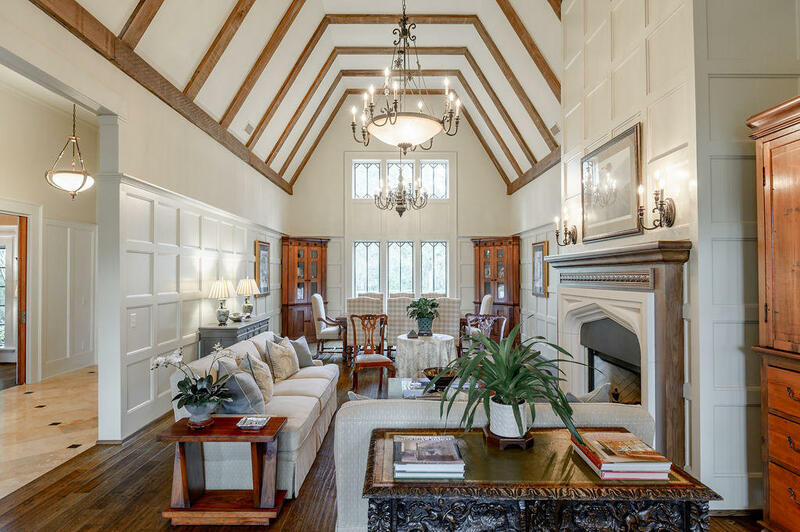 A Library with fireplace, antique cypress pocket doors, vaulted 16' ceiling, wood paneled walls and full bath serves, as an additional guest suite. 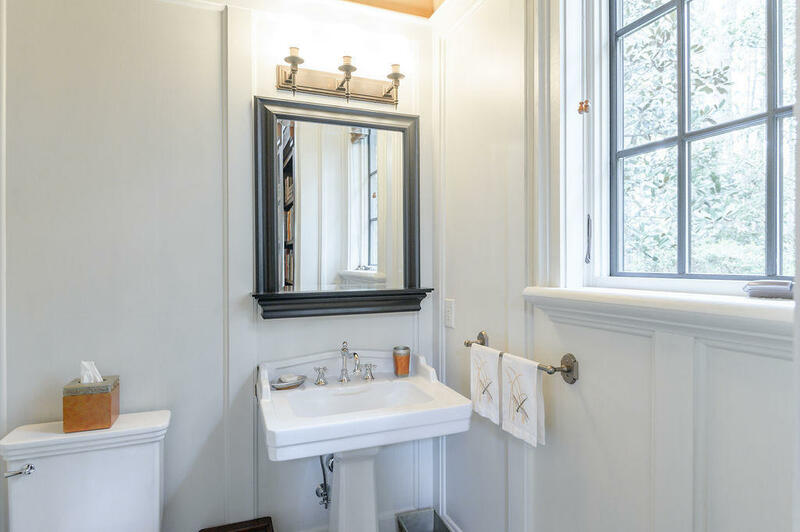 Two powder rooms complete the first-floor plan. 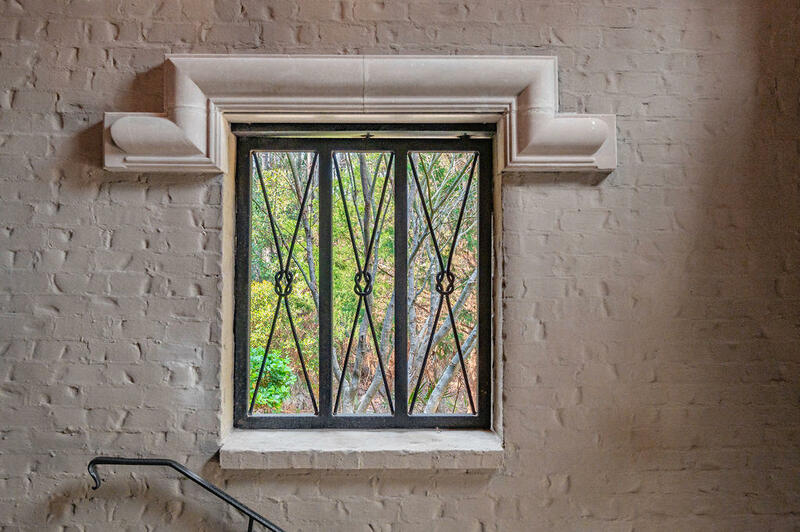 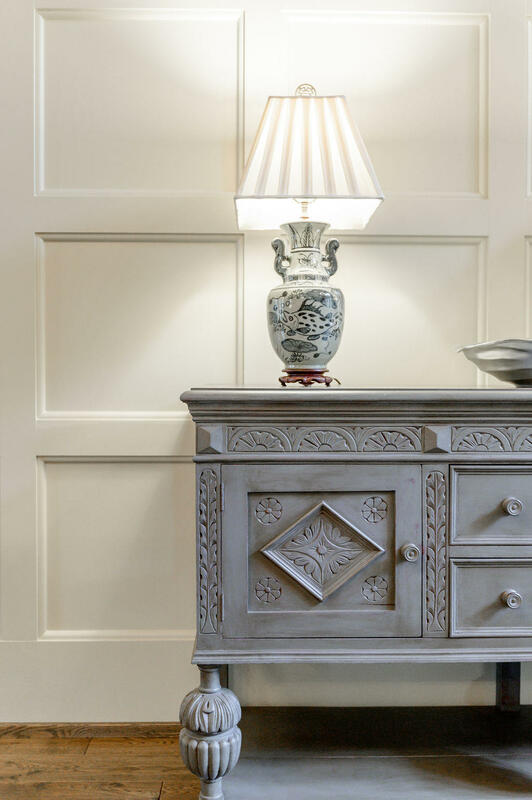 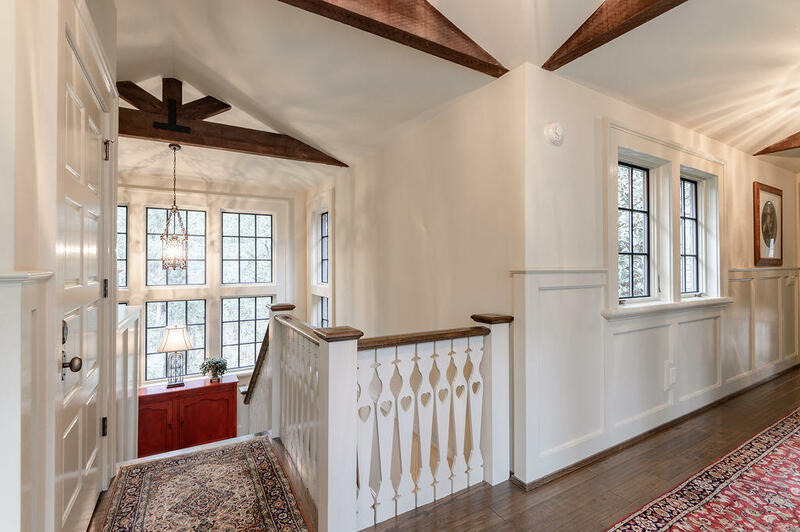 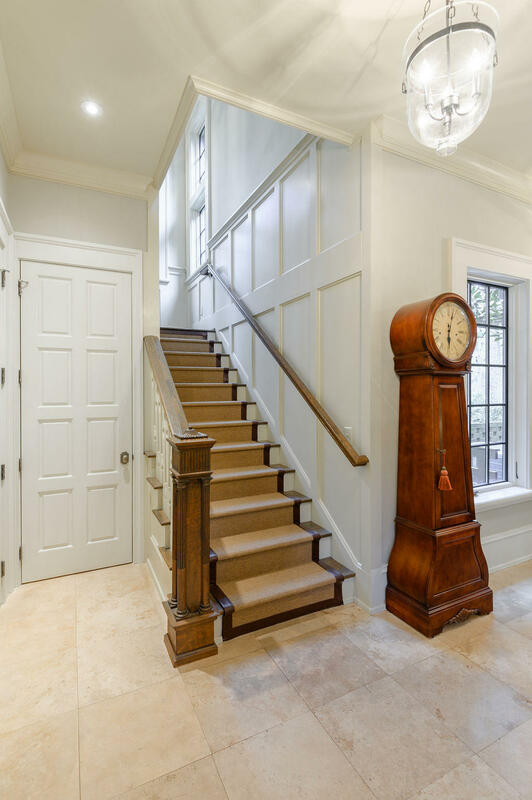 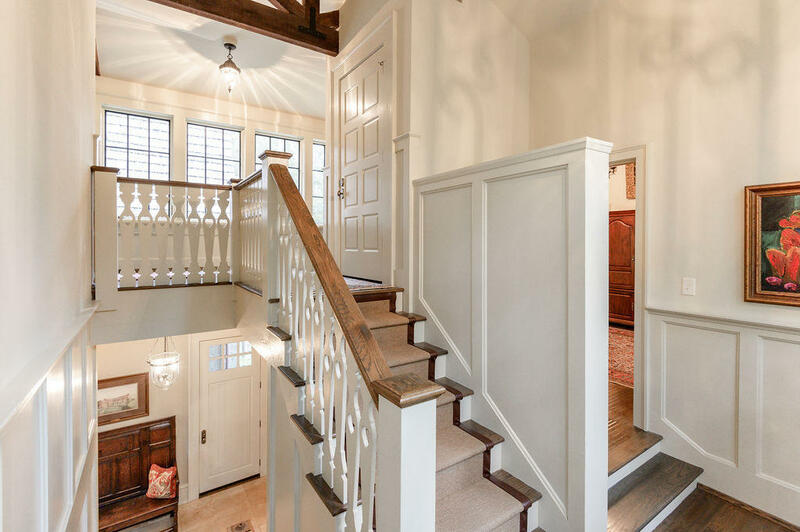 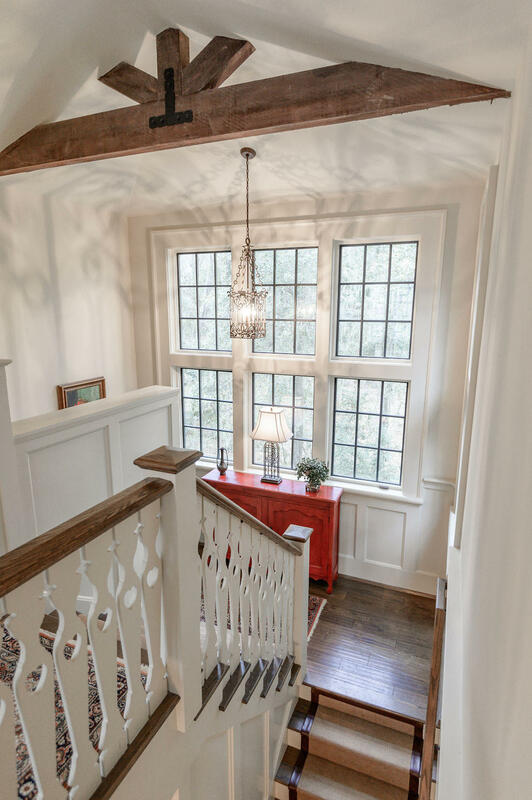 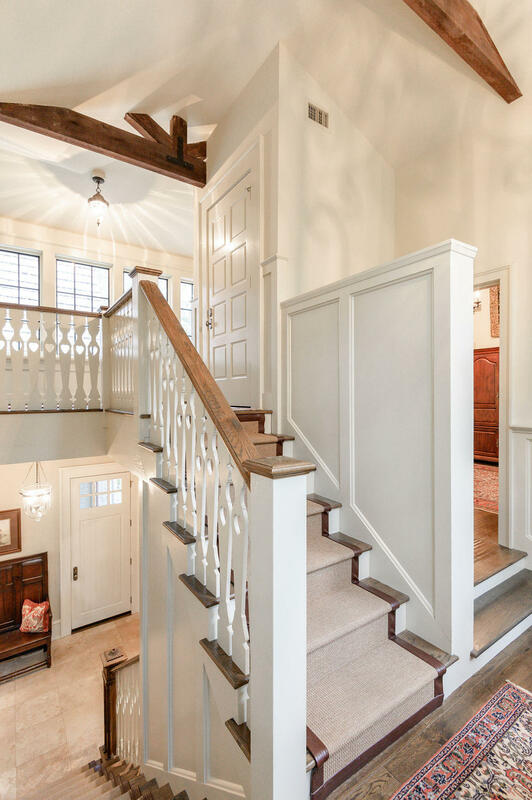 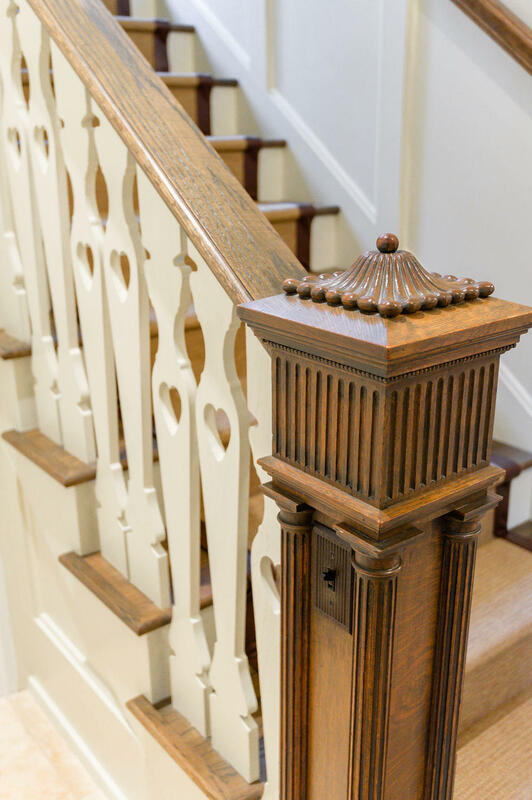 A stairway with custom railings, balustrade, wood paneling and antique newel post leads to the carriage house landing and to the second floor. 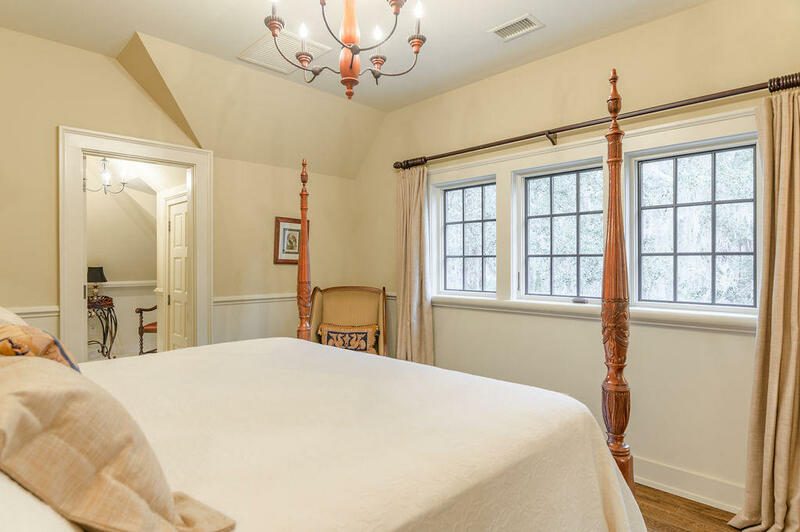 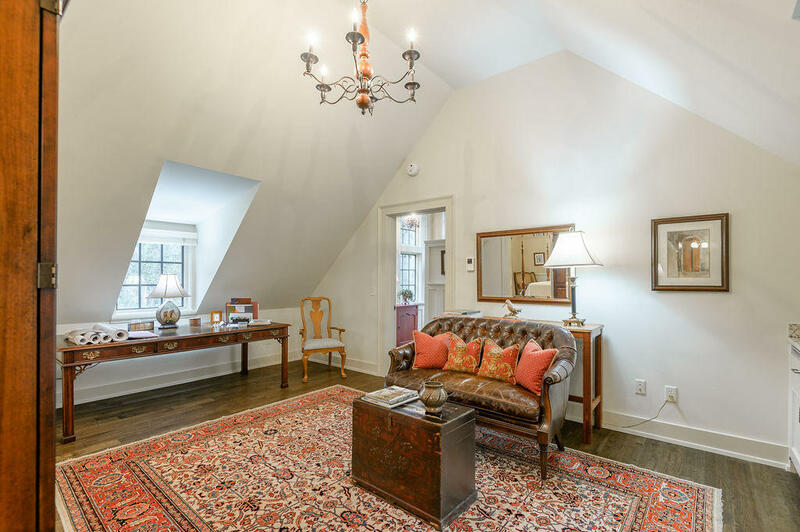 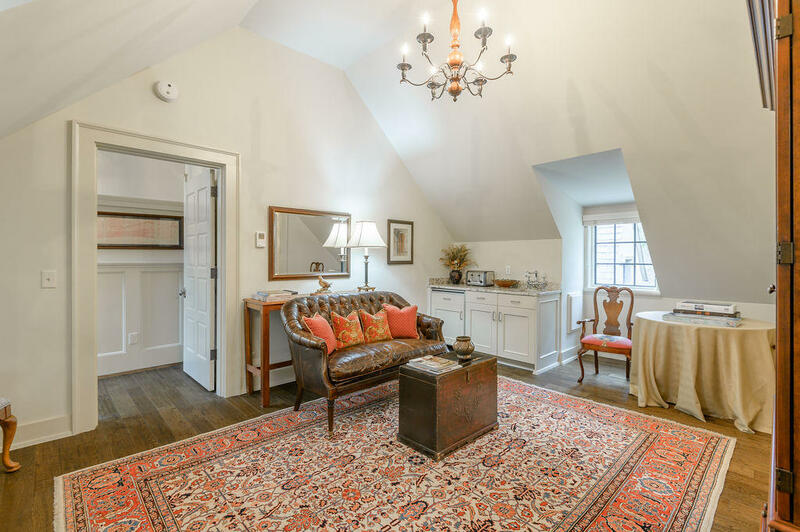 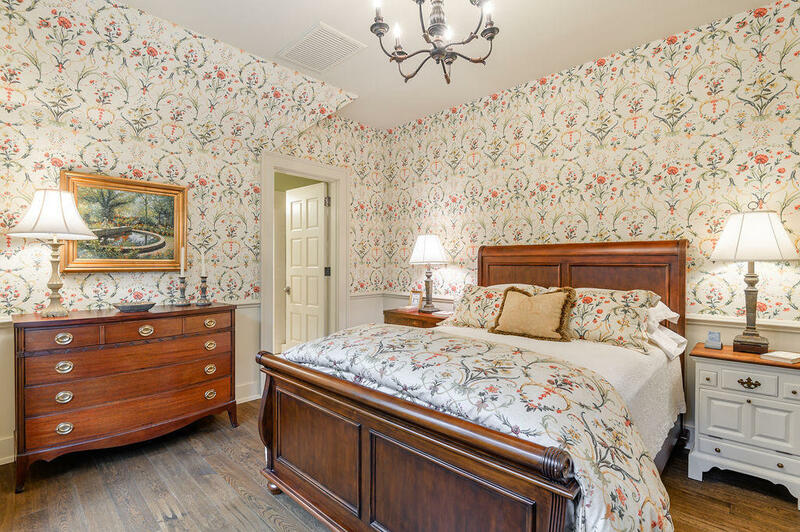 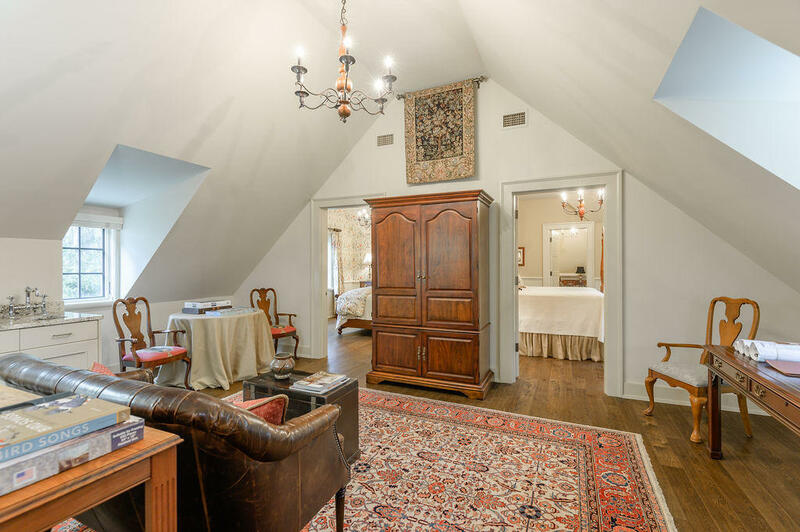 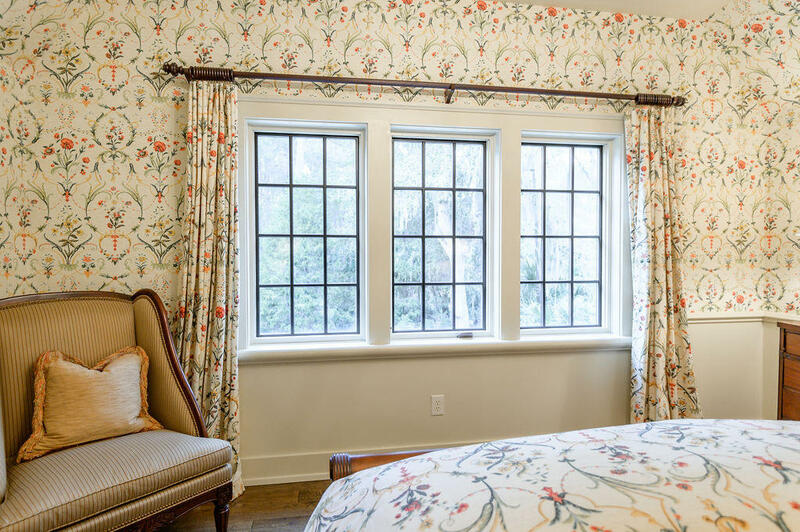 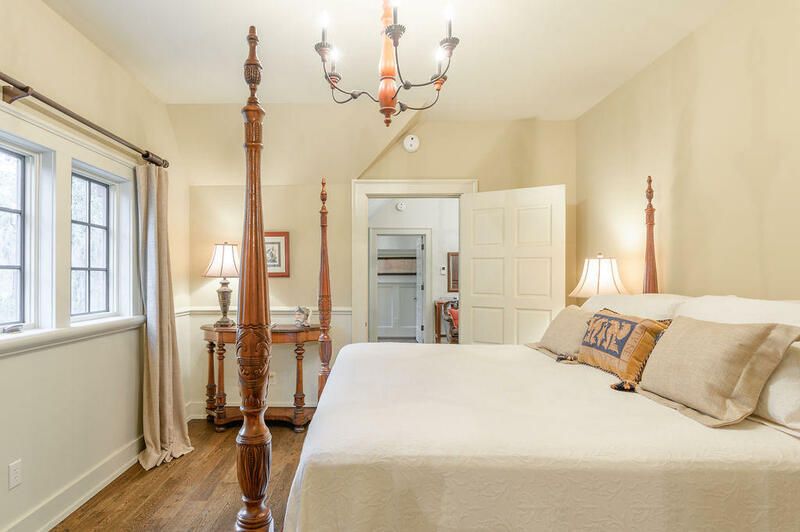 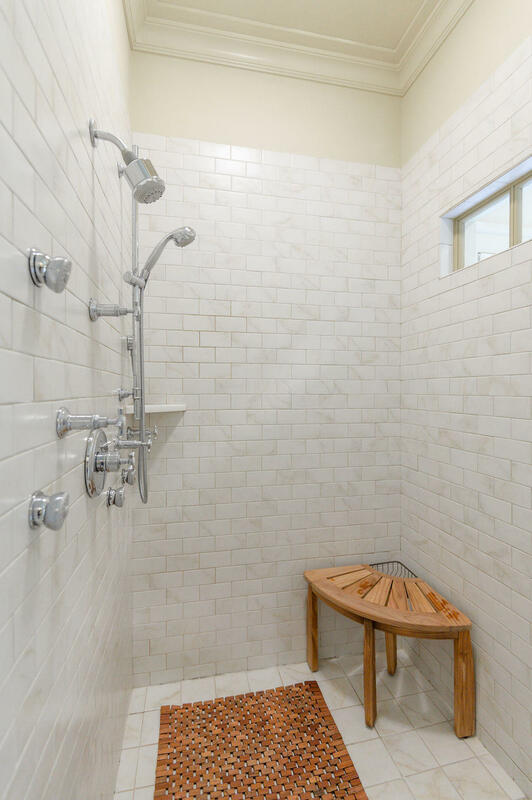 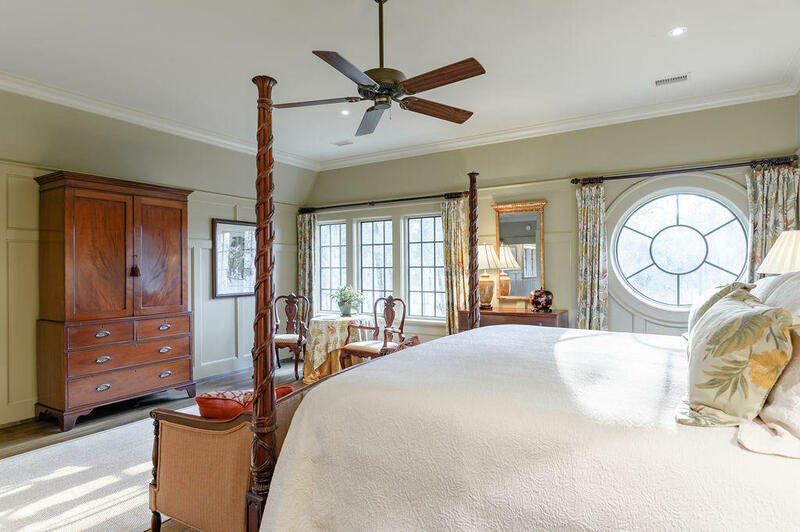 The adjoining Carriage house's two guest suites share a vaulted ceiling parlor with full breakfast bar, offering privacy and comfort for family and friends. 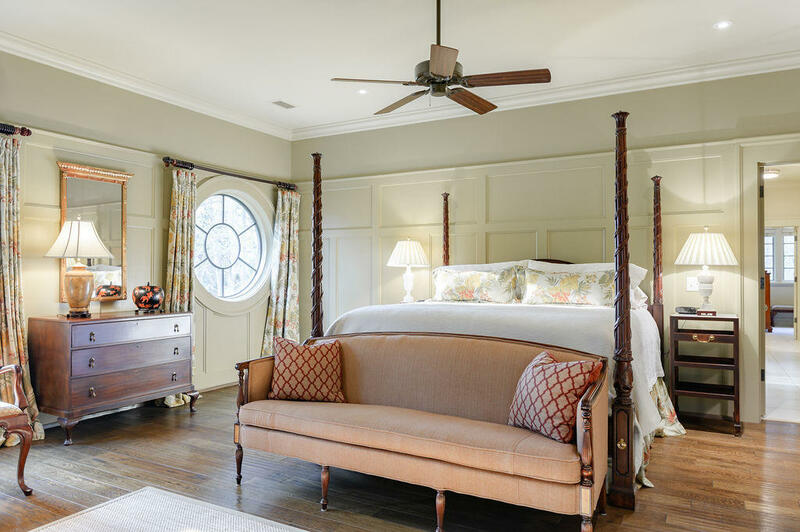 The second-floor master bedroom is your private retreat with fairway views, featuring a cozy sitting area with wood paneled walls. 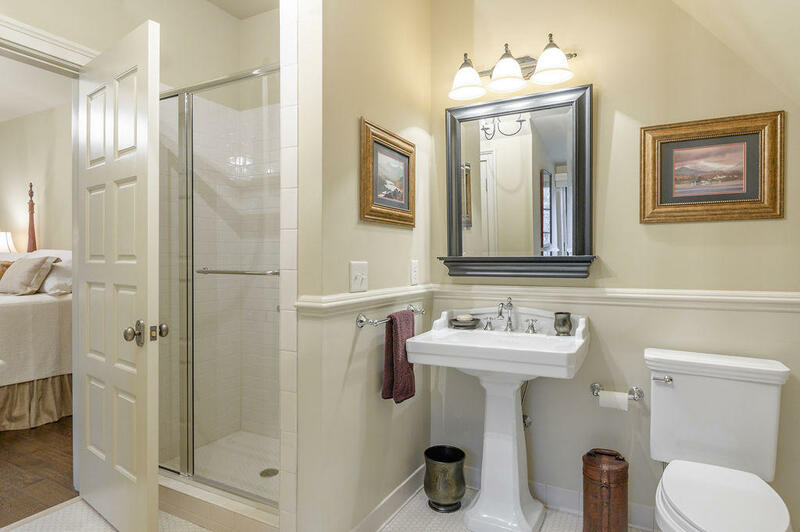 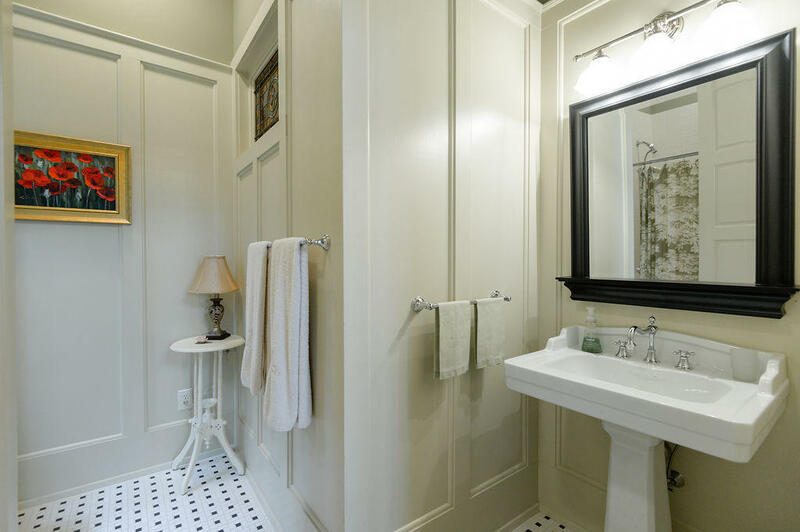 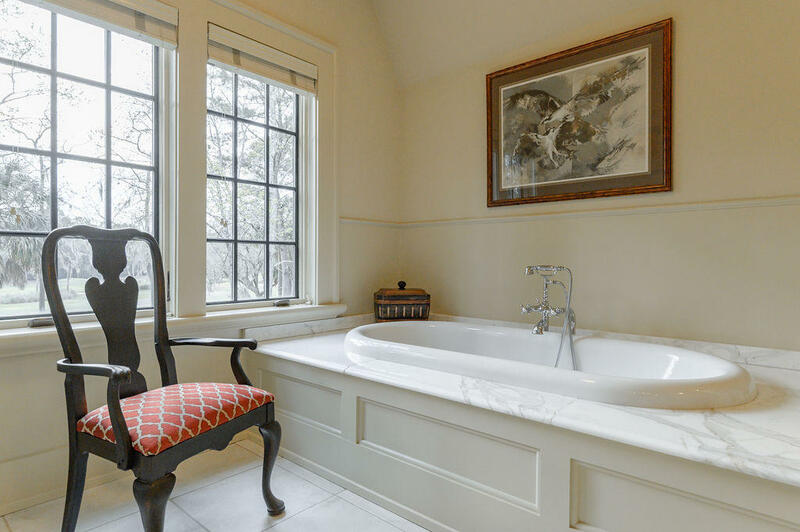 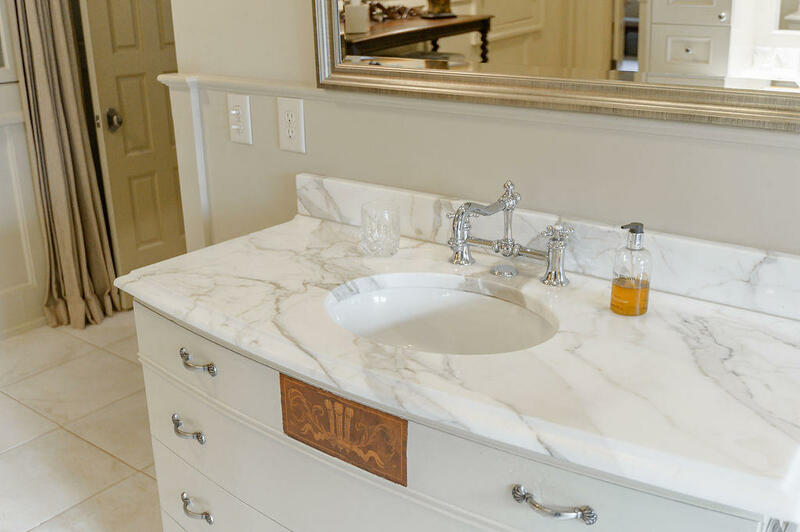 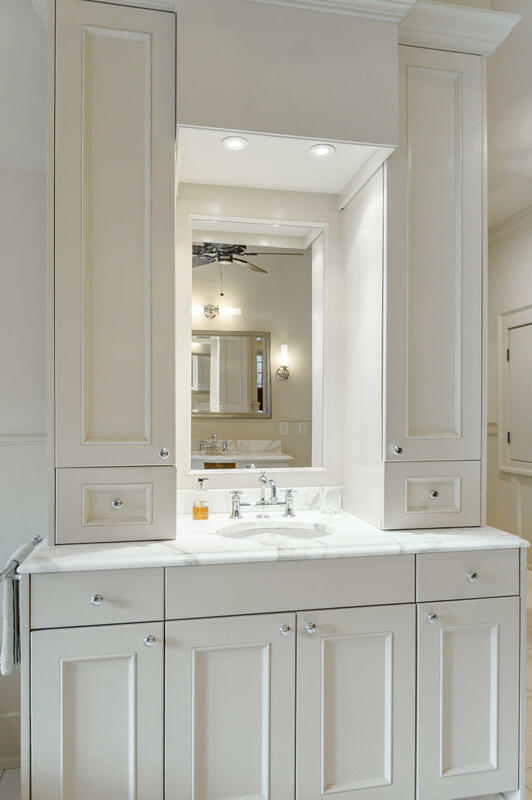 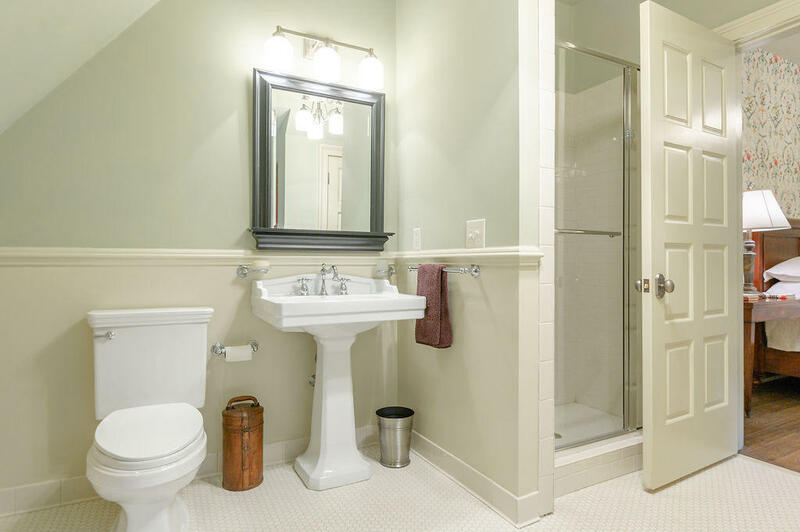 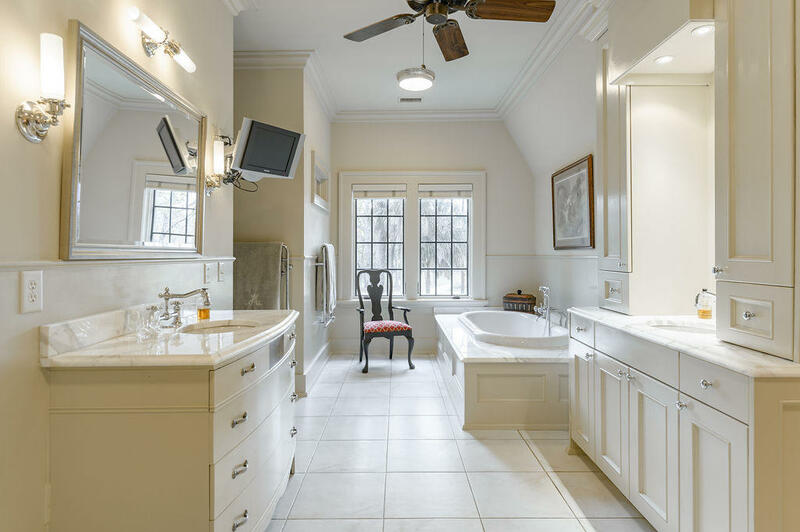 His & her baths include, Air Jet whirlpool tub, Calcutta Gold marble, towel warmers, custom cabinetry and walk in closets. 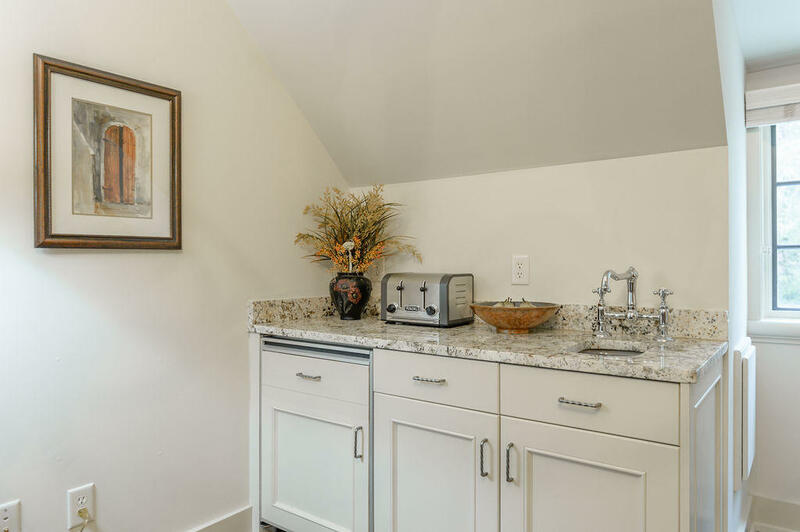 A spacious laundry room is complete with Bosch washer/dryer, stainless steel sink, Sheila Maid Airer, granite countertops, custom cabinetry and wood paneled walls. 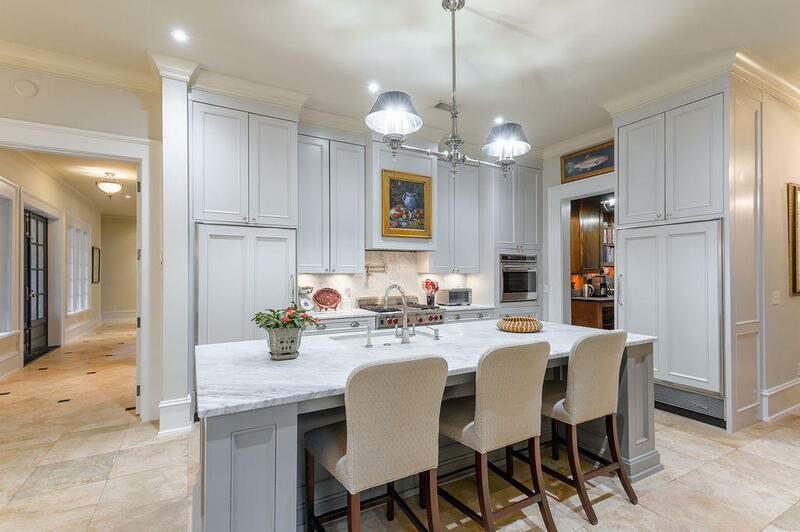 An undercounter Sub-Zero refrigerator/freezer serves for late night snacks. 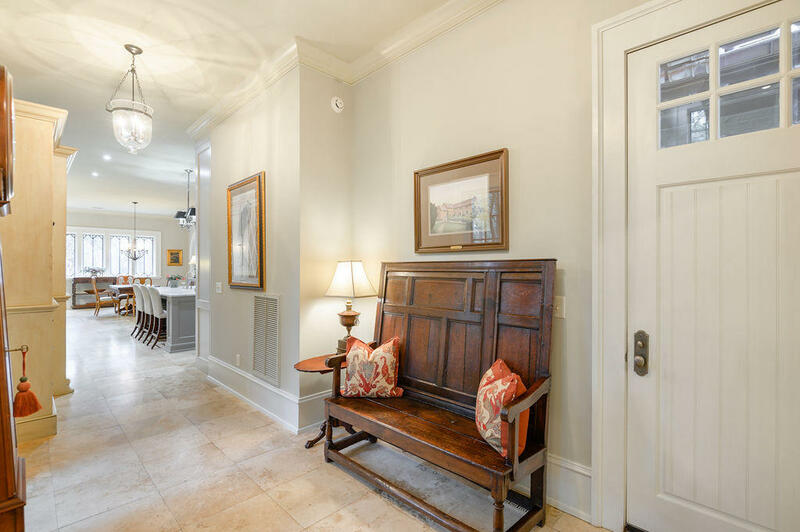 This home combines the flair and style influences of the past with today's modern conveniences in graceful surroundings where you may create a lifetime of memories.